This year’s auction was led by the Pink Star diamond; a 59.60 carat, oval mixed cut, Internally Flawless, IIa graded, Fancy Vivid Pink masterpiece. These attributes do not only make the gem seem like a treasure among treasures, but they also make it the largest diamond of its kind to ever be graded by the GIA. Sourced by De Beers from a South African mine during 1999, the diamond initially weighed a sizable 132.5 carats. During 2003, the rough was acquired by the Steinmetz Group where it was processed, cut, and polished to its present shape and size. Four years later, the Steinmetz Pink, after private negotiations, was sold to an anonymous buyer at an undisclosed price. The newly named Pink Star diamond was ultimately entrusted to Sotheby’s auction house to be sold at the Magnificent Jewels Sale held in Geneva during November 13, 2013. Up until April 4th, the Oppenheimer Blue held the title for the most valuable diamond ever to be sold at a public auction. Also known as the “gem of gems”, this rectangular cut, 14.62 carat, Fancy Vivid Blue diamond sold for a staggering $57.5 million (approximately $4million/carat) during the Christie’s Geneva Auction in May of last year. Furthermore, the beautiful Graff Pink a rectangular cut, 23.88 carat, Internally Flawless, Vivid Pink diamond broke the records at Sotheby’s 2010 Geneva auction fetching $46 million (yielding almost $2million/carat). This stone remained the record holder for the most expensive pink diamond ever to be sold at a public auction until 2017. 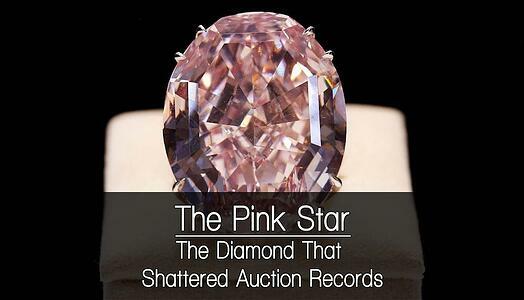 Weighing in at more than double the size of the Graff Pink, The Pink Star managed to shatter all previous records, fetching an astounding $71.2 million (greatly exceeding its $60 million pre-auction estimate). 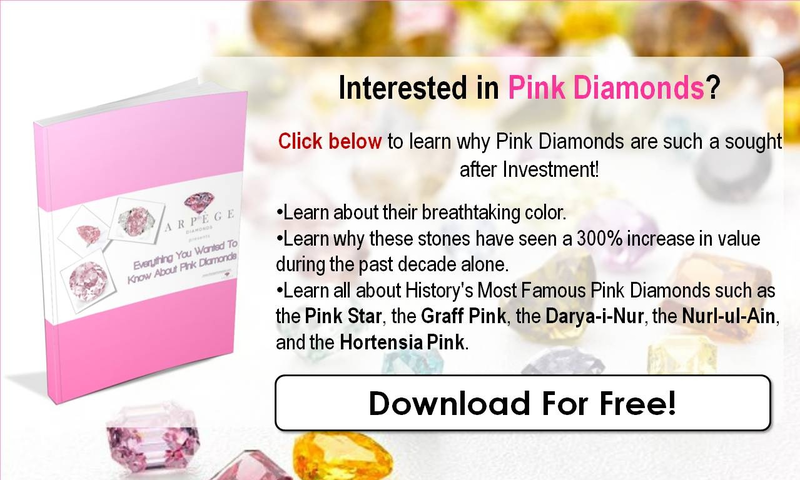 This price did not only grant it the title of “most expensive pink diamond in the world”, it was now the most valuable colored diamond to have ever been sold at a public auction, dethroning both the Graff Pink and Oppenheimer Blue. Today this magnificent piece is the proud possession of renowned Hong Kong Jewelry Retailer Chow Tai Fook. Do you think there will ever be a colored stone to surpass the Pink Star? Let us know! Also feel free to follow us on Twitter and like us on Facebook.